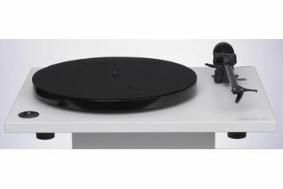 Rega spins into Sevenoaks | What Hi-Fi? "This is a key model for the Sevenoaks/Audio T group and will work perfectly with a wide choice of Hi-Fi separates that we have on offer, many of which are also What Hi-FI? Sound and Vision Award winners, " said Rob Lawley, group operations manager for the network of stores. You can read our review of the RP1 here, plus find out how it beat its rival decks in our latest, Awards issue - on sale now..